A painting contractor can be anyone with a general career background. 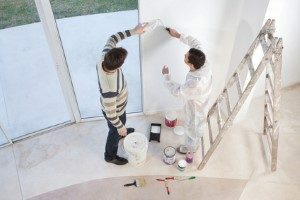 All of them, like an artist, have their own styles and techniques when it comes to various painting tasks, whether it is for home or business. So when you decide to hire a Canberra painter, you must not forget to make it your top priority to ask questions. You can also try asking for credible references to make your search a lot easier. 1. Choose first the type of Canberra painting contractor that you need. Should he be an expert in exterior or interior painting? The commercial painters specialize in big projects for commercial building, corporate offices, and even apartments. While others specialise in residential repaints. 2. Check closely on the charges that you would have to pay. Compare your written quotes carefully. This should include a breakdown of the parts of the house to be painted, the steps that will be taken in the preparation and finishing, along with the products used. 3. Go for the right places in searching for the right Canberra painter. Nowadays, a lot can be found online. Or you can go for the local directories or go around your local neighbourhood. There are credible painting contractors who also offer a warranty on their services to their customers. When the job is done, the customer will have the chance to give his feedback about the work to the head office of the company. If within that period of time, some problems arise, then the contractor shall render the customer free repair service. Remember to weigh your choices carefully and do not jump into impulse choosing. You must select the right painting contractor to do the right job. It won’t be such a problem with all the options that you will be able to find over the Net. It won’t take so much time before you can find a reliable Canberra painting contractor. If you get the chance to interview one of your eyed painting contractors, you must let them know about the reviews you have heard and read about them. All these would really be helpful for your search.